Oh, I haven't decorated my house yet, that is true. But I can honestly say it looks much better and more Christmassy this one. What the hell was its owner thinking? So silly, for real. hahaha! 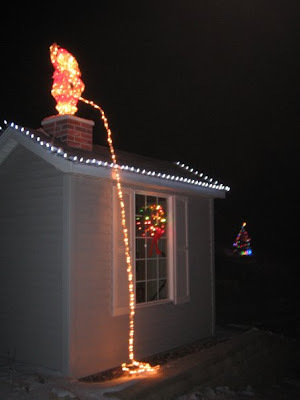 that's f-ing hilarious... i wonder how the neighbors react whenever they see that!